MRI scans are not fun, especially if you are claustrophobic (the only sensible phobia in my opinion. Who’s got a good thing to say about being trapped?). It’s ear plugs in, headphones on, cage down, and trundle backwards into the tunnel, I can see my feet , but DON’T LOOK UP! 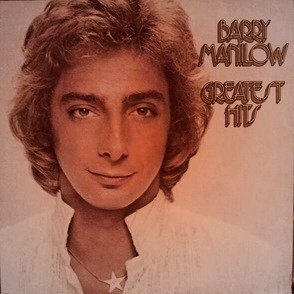 Ok, I confess that one of my coping mechanisms is singing Barry Manilow songs to myself. Don’t ask me why. I’m not really a fan. ‘Copacabana’ got into my head once, and the repertoire has grown steadily since. As the first wave of panic washes over me, I recite my mantra: I’ve done this before; I am safe; it will end. My amygdala is shrieking ‘Noooo, get out of here!’ and I toy with the button they give you to press for help. I force Barry’s words through my mind again, and then remember that my sweetheart Ben is waiting outside and has promised to buy me a drink, if I survive. Then I’m thinking Talisker, a nice large Talisker. Which takes my mind into the duty free of an airport departure lounge, where I’m waiting for my gate, with a neat little carry-on case and holiday dreams. No. I really don’t like this. I can’t get out. I can’t get out. But I don’t have to panic. Just yet. The noise is a useful distraction too; it sounds very wooden and discordant for something so hi-tech. As a new scan starts every few minutes, the machine belts out a fresh rhythm, and judders away beneath me violently. I try to visualise modern dancers moving in time as my spine vibrates. Don’t panic! Oh, I’m not actually panicking. This is getting a bit … boring. Then all sound and movement stops. Anxiety builds. They’ve forgotten about me! They’ve gone home and left me! I’m trapped! But these scanner nurses/attendants/operatives are too business-like for that; this privately run mobile scanner is parked in Queen’s Square to cut hospital waiting lists, not scoop up patients like the Child Catcher in Chitty, Chitty Bang Bang. For my first scan, three years ago, I had to find my own way through labyrinthine corridors to a basement MRI department, dragging a drip trolley and wearing an open-bummed gown. I felt like a character in Resident Evil. This time it was a warm, rain-fresh Sunday afternoon (yes, Sunday), with the promise of treats, and lots of love and support waiting for me. It came to an end and I was safe. They pulled me out, took off the mask and let me go. The relief was sublime; the sense of pride was powerful too. And there was a pub across the square, so I didn’t have long to wait for my single-malt reward.